Where we come from, family gatherings have always been more interesting after the last bottle of wine has been opened, or after we have mixed our grandmother her "final final" Manhattan. The "final final" is the one after the final, the one you have because you don't want the party to end, the one that keeps the group awake just a little while longer. It is a shared experience, as are our wines. Each club release will be in January, May & September consisting of 4, 6 or 12 bottles. Our wine club members will receive first priority of our limited production wines and a special invitation to each club release event. When you join our wine club, you become a part of our family. Since we make premium, small production wines, you can expect your shipments to have multiple bottles of the same varietal. We kindly ask that you accept at least two releases. 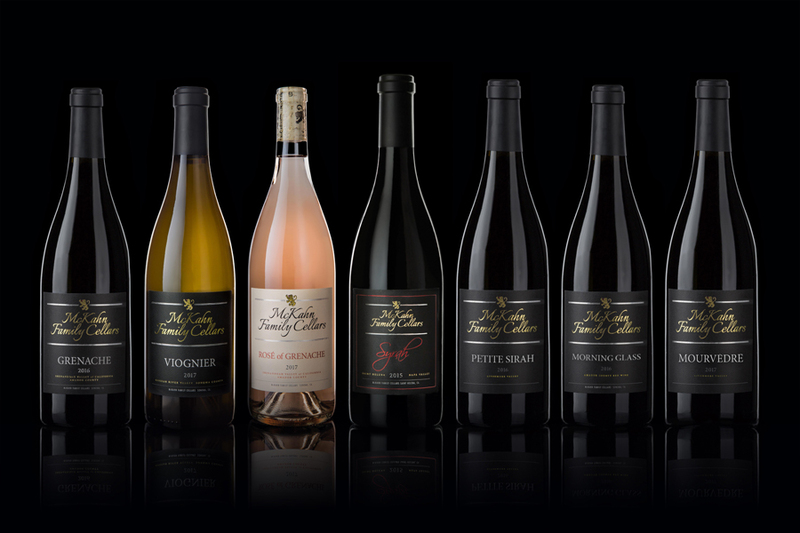 * Be the first to receive newly released McKahn Family Cellars wines! * Choose your ongoing comfort level of 4, 6 or 12 bottle shipments three times a year, in January, May & September, of small production wines. You can choose to pick up or we can conveniently ship to your business or home (taxes and shipping where applicable). * 4 bottle Club Members will receive a 15% discount, 6 bottle Club Members will receive a 20% discount and 12 bottle Club Members will receive a 25% discount on all scheduled club shipments and any additional wine purchases all year long. * 12 bottle Club Members will receive complimentary shipping on their club packs when applicable. *Invitations to McKahn Family Cellars events and release parties. *Complimentary tastings for up to 4 people including tastings in our private room. *Exclusive access to the Lion's Den. *50% discount on wines purchased when hosting an In-Home Tasting Experience. *Above all, you will receive personalized service and will always feel like part of the family. * You authorize McKahn Family Cellars to charge your credit card on file automatically up to 2 weeks prior to each release. * Cancellations must be made prior to the credit card charge after 1 year of membership, in writing, to wine@mckahnfamilycellars.com. * If you choose to be a pick up customer, club packs will be held for 60 days, after which shipping charges will apply.